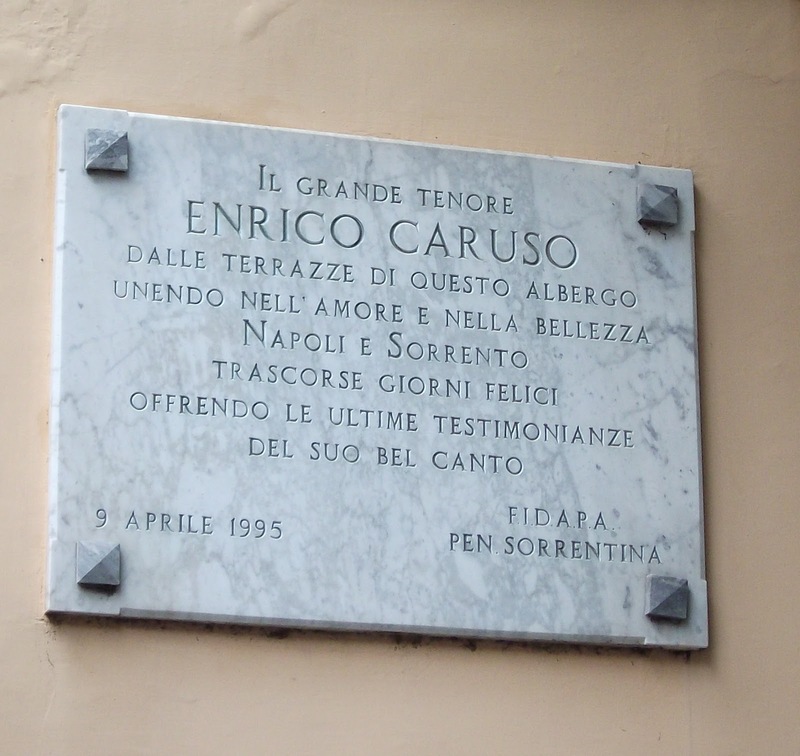 The brilliant tenor Enrico Caruso was born 139 years ago today in Naples. Caruso sang to great acclaim at opera houses all over Europe and America during his sadly all too brief career. His 1904 recording of ‘Vesti la giubba’ was the first recording ever to sell a million copies. Caruso loved Sorrento and his stay at the Grand Hotel Excelsior Vittoria is recognised by a plaque at the entrance gate to the hotel just off Piazza Tasso. The photograph of Caruso in front of the view from the Excelsior Vittoria’s terrace in 1921 went on to become one of the most famous images that was taken of the tenor. The hotel subsequently furnished Suite Caruso with the piano and writing desk used by the opera singer during his visit. The suite inspired the song ‘Caruso’ to be written by Italian pop singer Lucio Dalla in the late 1980s while he was staying at the Excelsior Vittoria. 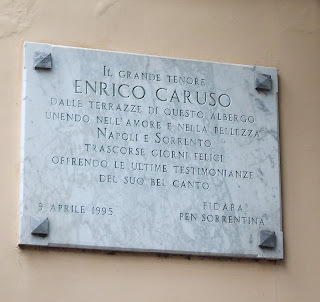 Opera fans on holiday in Sorrento might also be interested in visiting nearby Ristorante Museo Caruso in Via Sant’Antonino, a restaurant that commemorates the life and career of Italy’s most famous opera singer. 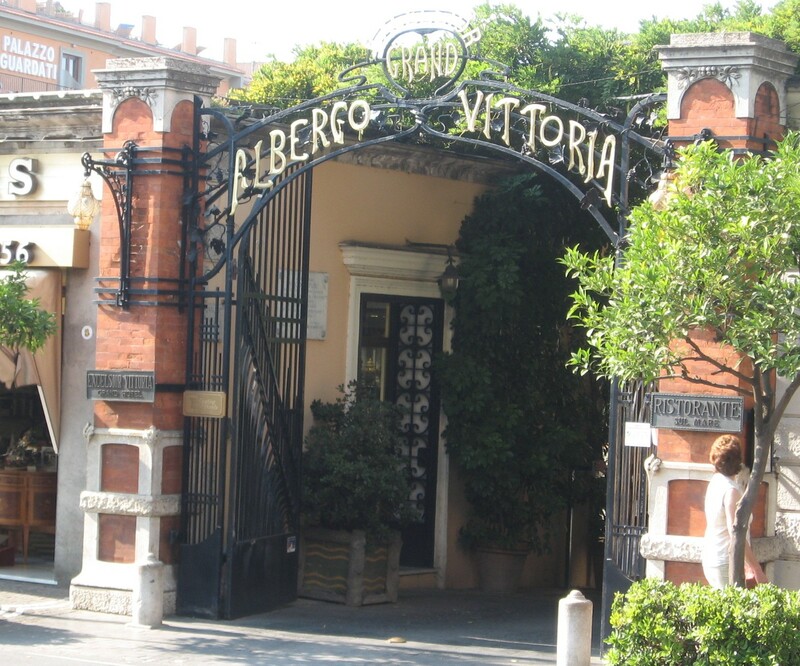 Read more about the Grand Hotel Excelsior Vittoria. From the beach at Marina di Puolo it is possible to walk along the seafront and round the promontory of land called Capo di Massa, where there are the remains of a 16th century stone tower. 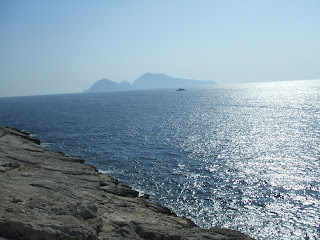 When you have rounded the point of land you will encounter a magical view of Capri out in the bay. It is the first point along this stretch of coast from where you can see the island. Leave Sorrento along Via del Capo in the direction of Massa Lubrense. If you take the Linea A (Line A) bus to Capo di Sorrento, get off at the stop for the Hotel Dania, from where you can make your way down to the beach along an old path. Turn off Via Capo down Calata Puolo and then turn left again to go down some gradual steps and along a narrow path past olive groves and a vineyard until you reach the intersection with Via Marina di Puolo. You will pass a car park (the nearest point to the beach that you can drive to if you come from the main road) before going down a steeply descending, winding path to reach Marina di Puolo. Walk along the path in front of the beach past the bars, restaurants and the Baia Hotel, which has its own private section of beach. Take a short cut through the car park of the Karama yacht club and continue along the coastal path. You will pass two distinct archways edged with stones cut into the rock on your left. These are the remains of a Roman villa and there are other openings still clearly visible in the rock above that provide clues to the original design of the building. Continue to follow the road as it climbs around the cape and you will be able to see the stone tower, which is just above the road, at close quarters. 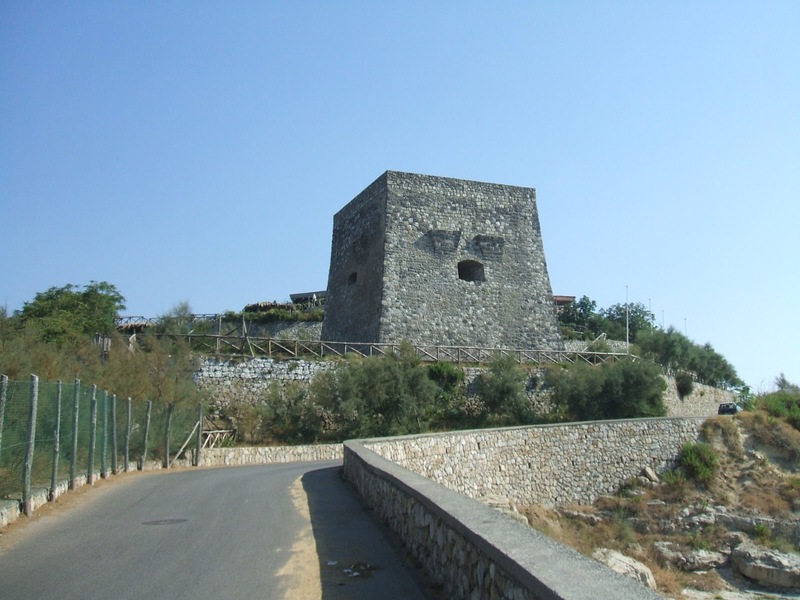 It was probably built as a look out tower to protect the coast against Saracen invaders in the 16th century at the same time that many other defence towers were built along the coast. The structure has fallen into disrepair and become reduced in height over the centuries, but has been refurbished in the last few years. Round the other side of the cape you will see rising above the deep blue sea, the two peaks of rock, Mount Solara and Mount Tiberius, that form the beautiful island of Capri. While lovers all over the world raise a glass to Saint Valentine today, residents and visitors in Sorrento will be celebrating the festival of Sant’Antonino, the city’s patron saint. Sant’Antonino Abate died on 14 February, 626 AD. 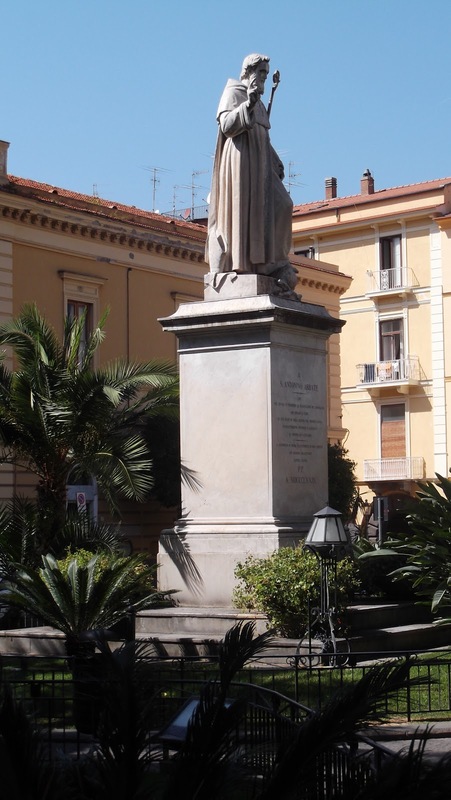 He is credited with saving the life of a child swallowed by a whale and protecting Sorrento against plague and invasion. Sant’Antonino’s body is buried in a crypt that became part of the Basilica di Sant’Antonino in Piazza Sant’Antonino, a magnificent church that dates from the 11th century, but has been added to and refurbished over the years. There is a statue of the saint among the palm trees in the middle of Piazza Sant’Antonino opposite Sorrento’s town hall. Inside the Basilica, another statue of the saint is surrounded by the many offerings from sailors who have been saved from shipwrecks over the centuries and believe it was thanks to the intervention of Sant’Antonino.